Visible Spectrum is World Championship bound! Visible Spectrum team members L to R: Natalie Shea, Courtney Popp, Ryan Huynh, Aimee Przhelyaskovskiy, Connor Shea, Isabella Vandenbos, Mikaela Harkema, Selina Woo, Anna Marie Mitchell, Dexter Hein-Harrison, Lauren Snyder. Coaches are Crystal Huynh and Scott McDowell. 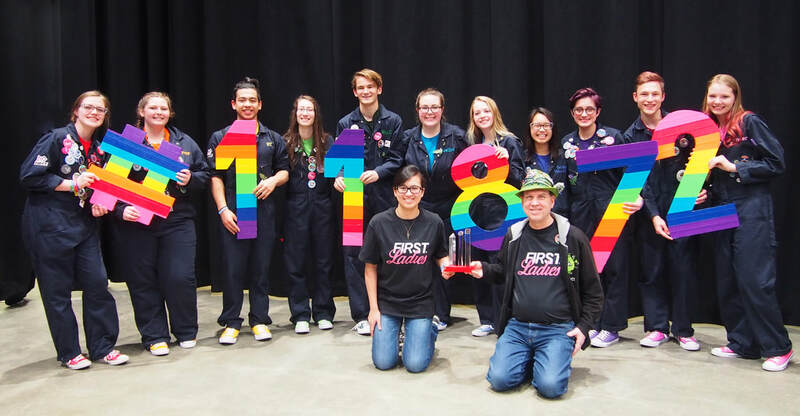 Lakeville North HS FTC team #11872, Visible Spectrum, competed in the North Super Regional in Cedar Rapids, Iowa from March 15-17 2018 and won the Motivate Award, earning them an invitation to the FTC Robotics World Championship in Detroit, on April 24-28. The Motivate Award is given to the team that makes a collective effort to make FIRST known throughout their school and community, and sparks others to embrace the culture of FIRST. Here are a couple of examples of how Visible Spectrum spreads the message of FIRST and STEM both locally and globally. In 2017, Visible Spectrum started a group called FIRST Friends. 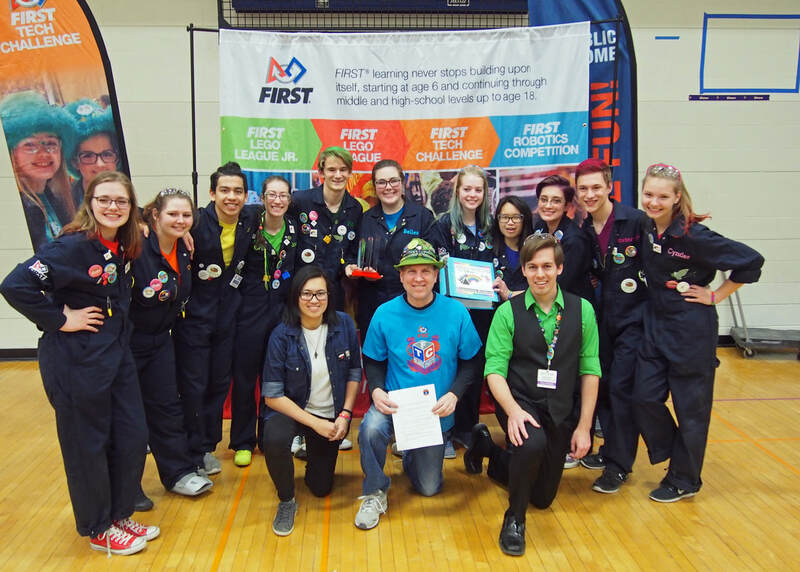 The mission of FIRST Friends is "to encourage people in FIRST, team members and mentors alike, to connect with each other - by pairing teams and individuals up, thus building strong friendships through mentorships and outreach opportunities". FIRST Friends currently has participants from the U.S. and Israel. At the North Super Regional tournament this weekend, they were approached by the president of FIRST, Don Bossi, about expanding this organization to rookie teams in Romania. Lakeville FTC Team #11872 Visible Spectrum wins the Motivate Award and advances to the North Super Regional tournament in Cedar Rapid IA on March 15-17, 2018! Visible Spectrum was a finalist for the Think and Connect Awards. 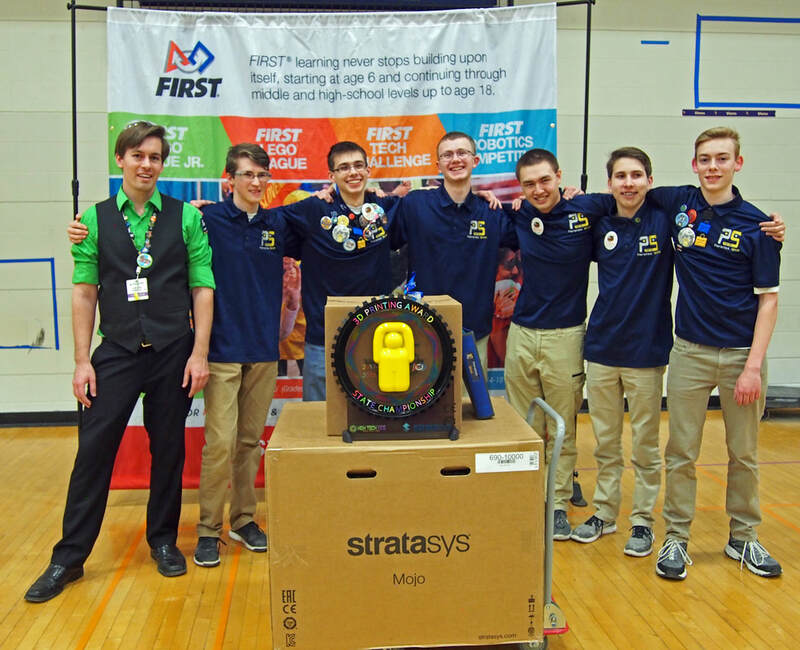 Lakeville FTC Team #11873 Parallax Shift won the Stratasys 3D Printing Award which includes the use of a $10,000 Stratasys 3D printer and a year's supply of materials! Parallax Shift was also a finalist for the Design and Innovate Awards. Selina Woo of Visible Spectrum was named a Dean's List Finalist. This is the highest individual award in FIRST Robotics. 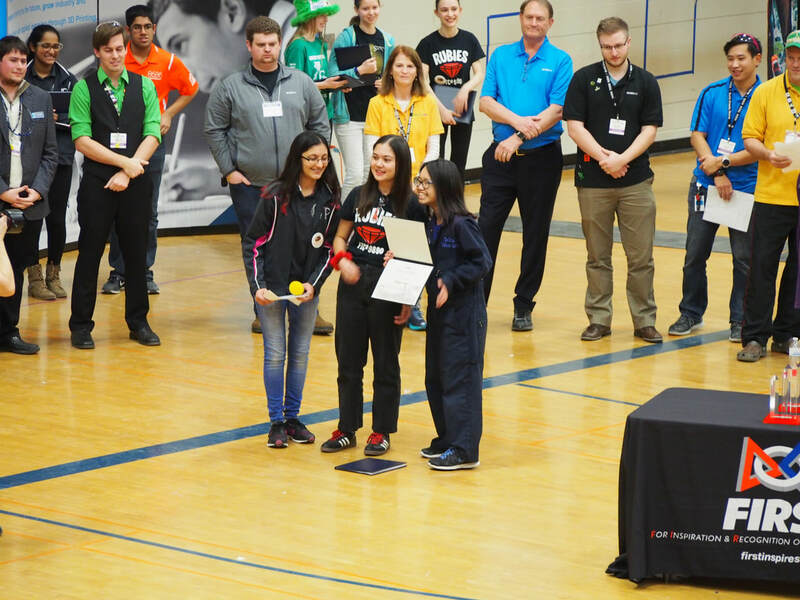 She will be one of four students representing MN at the FTC World Championships in April this year to compete for the National title. 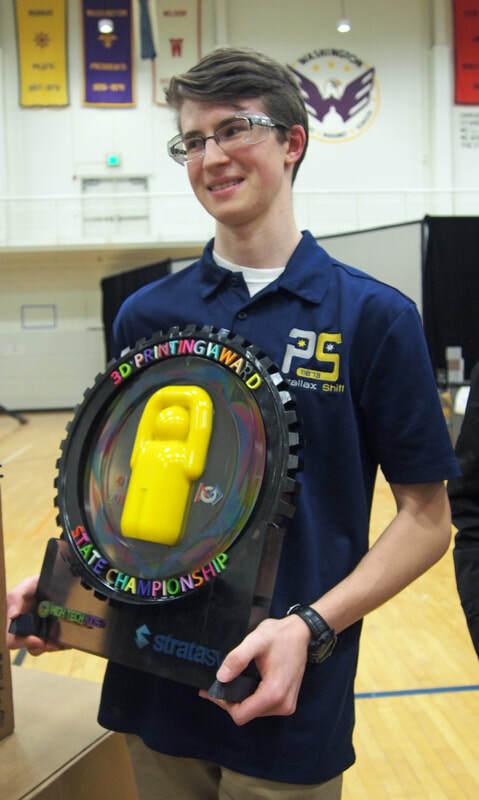 Keenan Leverty of Parallax Shift won a Stratasys Youth Scholarship Award for his essay on 3D Printing. 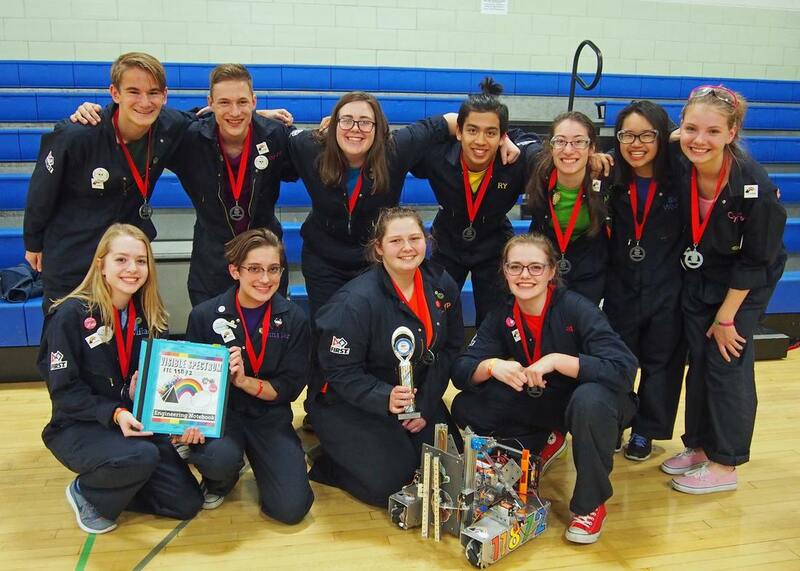 Lakeville FTC Team #11872 Visible Spectrum wins the 1st place Inspire Award and advances to the MN State tournament!